Did you already see the piñata cookies that SheKnows.com created in honor of Cinco de Mayo? They’ve gotten quite an attention online and even made it on TV. The multi-striped, burro piñata sugar cookies are hollow so you can fill them with a candy. SheKnows has a step by step recipe and instructional video to make the piñata cookies. The piñata cookies most likely will not make it to your Cinco de Mayo table this year — unless you are a total overachiever and love food coloring. Since the cookie recipe doesn’t look the easiest one out there, I collected a few simple recipes that you still can make this weekend to celebrate Cinco de Mayo. Or let me know, if you will try to create the piñata cookies! I loved visiting Hotel California in Todos Santos, and we had a fantastic lunch in the hotel restaurant, and one of the local specialty drinks was Mango Margarita since the region was famous for its mangos. 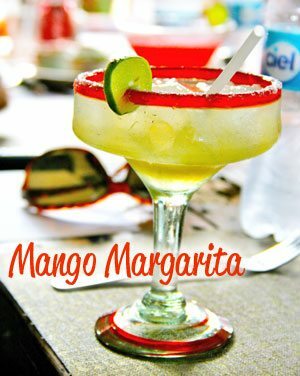 Here is a mango margarita recipe courtesy of Sauza tequila that I think you’ll love. Peel, seed and chop your mango. (If you can’t find nice ripe ones at the grocery, opt for the Individually Quick Frozen cubes in the freezer section). If you have time you can freeze your prepared mango at this point. Otherwise, put all ingredients except for the ice into your blender and blend until smooth. Then add the ice. Prepare your glasses by rubbing the rims with a lime wedge and then dipping the rims into a plate of either salt or sugar, depending on what you or your guests prefer. Pour the margarita into the prepared glasses and enjoy! 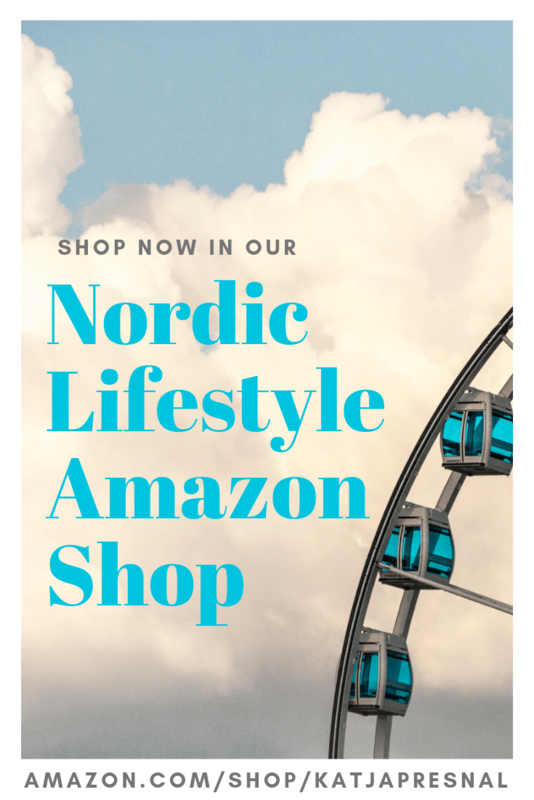 As one of the top 10 lifestyle sites for women, SheKnows has a recipe collection that includes much more than the now famous piñata cookies. 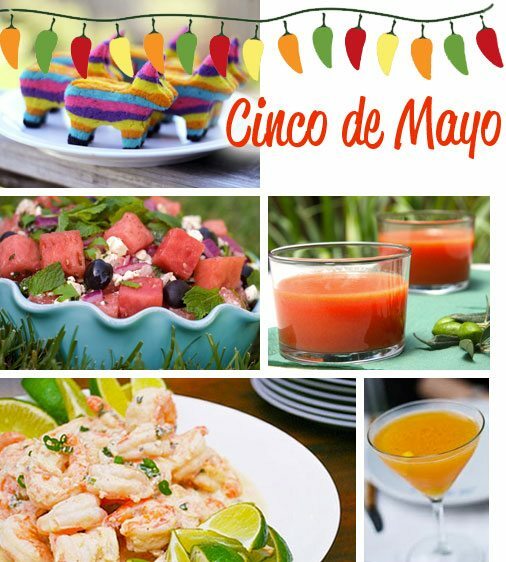 Below is a list of other recipes suitable for Cinco de Mayo and other summer celebrations courtesy of SheKnows.com. 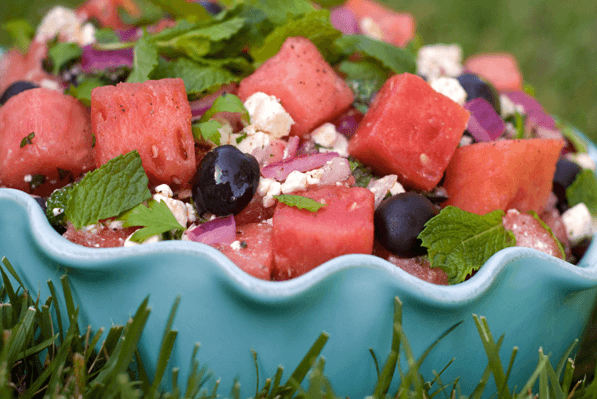 Cube the watermelon and mix with crumbled feta, serve on a bed of crisp romaine hearts (or spring greens). Drizzle the salad with olive oil and add pepper to taste. Garnish with fresh mint or basil. Now.. if you want to give a new twist to an old favorite, pair your tortilla chips with Bacon Guacamole, recipe by Savoring the Thyme. 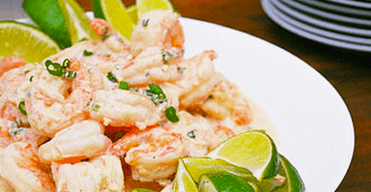 The Tequila Lime Shrimp is a perfect dish for summer parties, check out the easy recipe at Sauza’s site. And a Mexican summer party wouldn’t be perfect without churros! Check out Nigella Lawson’s churros recipe. PS. To connect with the Mexican tourism board and get info on everything Mexico, and Cinco de Mayo, check out facebook.com/WeVisitMexico. 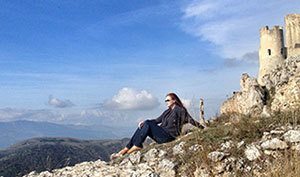 Disclosure: I have been on a paid trip to Mexico courtesy of the Mexican Tourism Board, and participated in a paid campaign with Sauza tequila, but this post was not compensated by anyone and truly reflects my love for Mexican cuisine and culture.